I have been feeling kind of old lately. Before anyone goes and gets mad at me about feeling old while I am still in my 20’s, let me explain. It wasn’t until just recently that it really hit me that I will be 30 before I know it. It kind of seems like my 20’s have gone by in a big blur so far. There has been a lot that has happened and a lot more that can happen in the next 2 years before I turn 30. My hair hasn’t shown any signs of aging yet, but I can definitely see it in my skin. It just wasn’t looking as youthful as it used to. My skin looked tired! I wouldn’t necessarily feel tired but if I caught a glimpse of myself in the mirror, I instantly felt a little more exhausted. I wanted to address the problem and treat my skin with something that would help it look brighter, so I could feel confident with my skin again. I did just that, with the help of Garnier SkinActive®. I took the Clearly Brighter Challenge and started using the Garnier SkinActive® Clearly Brighter™ Brightening & Smoothing Daily Moisturizer SPF 15 every day for two weeks. It is clinically proven daily moisturizer that works quickly to even out tone and texture for brighter, smoother skin. It has antioxidants like Vitamin C to help give smoother, brighter skin in just one week. * It is a lightweight moisturizer that is oil-free, so it won’t clog pores either! I can’t even believe how much better my skin looks after using this product for just two weeks! I still look like the makeup free me, but a much less tired looking version. My skin is so much brighter than it was before! I knew there were going to be some changes, but it wasn’t until actually looking at the before and after picture that I realized just how much of a change there was. This product is definitely one that will continue to be a part of my daily routine. You can try it out for yourself and take the Clearly Brighter Challenge to see what a difference it can make in your skin too! Garnier SkinActive® products are available at CVS, Target, Walmart, Amazon, and Rite Aid. How do you keep your skin looking young and healthy? Tell me in the comments for a chance to win a $100 Visa gift card! Be sure to visit the SkinActive Brand Page on BlogHer.com where you can read other bloggers’ posts! This post was sponsored by Garnier through their partnership with POPSUGAR. While I was compensated by POPSUGAR to write a post about Garnier all opinions are my own. My hair has been through a lot this summer. I have spent a lot of time outside, in the pool, or just had lazy summer days where I put my hair in a messy bun. I have kind of ignored the needs of my hair and I can definitely feel that it needs some extra attention. That is why I decided to give my hair a spa day, everyday! In the spirit of Mother’s Day, Garnier® Whole Blends™ continue to remind us of our unique beauty. Life can be so busy. I sometimes feel overwhelmed with all of the responsibilities that somehow seem to fall onto my plate. I know that I’m not the only one who feels that way. I am willing to bet that most people feel like they have too much going on as well. One of my goals this year was to be more present with my family. That means that I put my phone away and really pay attention to what is going on around me. I feel like I have become a better listener and I have been able to appreciate small, special moments that I would have missed if I would have been checking my phone instead. One thing that I have really learned over these past few months is that I feel the best and the most beautiful when I am around the people that I love. It doesn’t matter if I have actually gotten ready for the day or not. These people make me feel like a million bucks. I think it is important to surround yourself with people who make you feel this way. Of course, I am talking about my family, but I have friends who make me feel this way too. I recently spent time with my friend Sadie. We used to live really close to each other, but we both moved away at the same time. We were talking about new friends we had made and we both agreed that neither of us had found a friend who we were as comfortable with as we are with each other. We can hang out without makeup on, in our pajamas with bedhead and feel totally comfortable. Those are the kinds of people I suggest surrounding yourself with! This year started out in a difficult way for our family but making the goal to be more present has made a huge difference. I have made it a point to make myself a priority in my own life. I don’t want to feel like I am letting my self-confidence come in last place. That is why I make sure to take care of my body each day. Obviously, beauty products are a major part of my life. 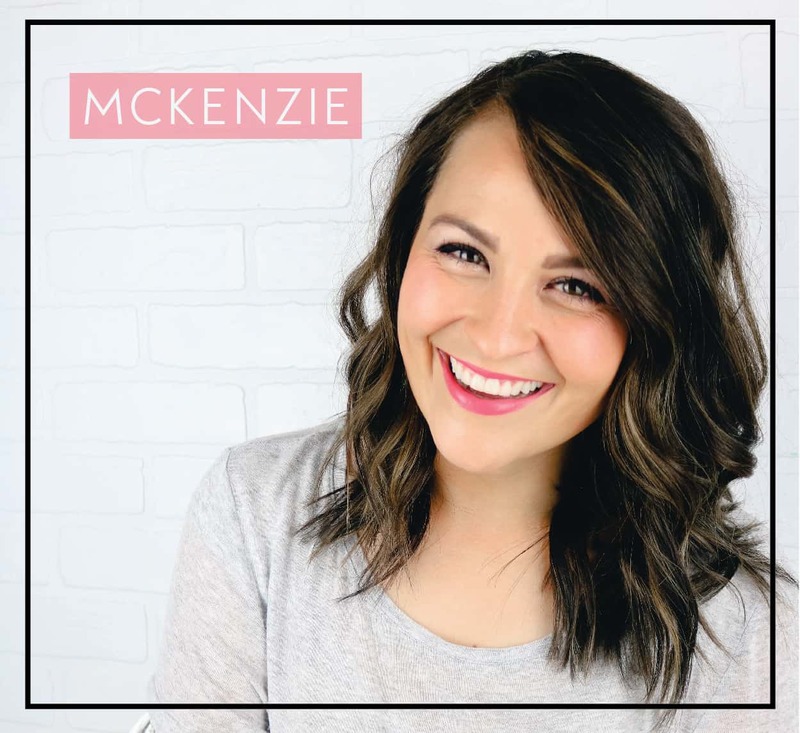 I have found that using products that go the extra mile in making me feel great can make my days better and give me the boost of self-confidence that I need, just like the friends and family that I surround myself with. I recently have tried the new Garnier® Whole Blends™ products and have loved the way my hair feels when I use them. I have felt totally confident when I use these. The shampoo and conditioner make my hair feel clean and moisturized while making it smell divine! The leave-in treatment spray makes my hair so soft! I have loved the Refreshing line with Green Apple & Green Tea Extracts! They revitalize my hair and make it nice and shiny. These are paraben-free formulas that are gentle for everyday use and are made with products that feel good using. The argan oil and cocoa butter ingredients are purchased fairly and sustainably to support local farmers and communities. The bottles are made of recyclable plastic too! Surround yourself with people and products that give you self-confidence. You will feel great and may even feel like you can conquer more of the many tasks that find their way onto your plate. Find time to put your phone down and spend that time with the people who matter most in your life. You will be able to enjoy wholesome, beautiful moments that you may have missed out on before! You can learn more about Garnier® Whole Blends™ on their social media channels including Facebook, Twitter, Instagram, Pinterest, Google+ and YouTube. Now, for a chance to win a $100 Visa gift card, tell me: how are you present in your family’s lives in this very busy world of ours? This giveaway is open to US residents age 18 or older (or nineteen (19) years of age or older in Alabama and Nebraska). Winners will be selected via random draw, and will be notified by e-mail. The notification email will come directly from BlogHer via the sweeps@blogher email address. You will have two (2) business days to respond; otherwise, a new winner will be selected. I remember hearing women say that they hated Mother’s Day. As a teenager, the thought of having a day to celebrate the woman seemed like something really special. Now that I am a mother, I can kind of understand where these women were coming from. Mother’s Day can be hard. You see the tributes others make to their moms, and while it’s never something you should ever do, I can’t help but compare myself to the others. I often have to remind myself that we are all just trying our best to be the mother that our kids need. Mother’s Day isn’t the time to tear yourself down. It’s a day to both celebrate the role of motherhood, and feel celebrated by the ones you care for the most! It’s a day to both treat, and feel treated by others. This Mother’s Day take time to yourself somehow. This may be as big as going to get a manicure and pedicure or as small as just taking a long shower! 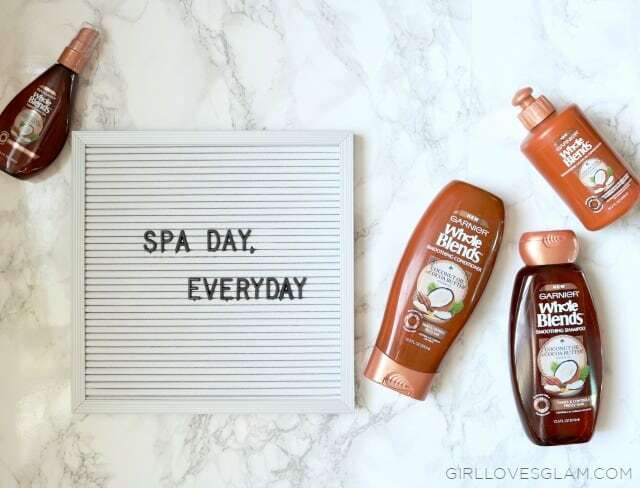 I have been using the Garnier® Whole Blends™ Refreshing Hair Care with Green Apple and Green Tea Extracts products and they make me feel like I am in a spa every time I wash my hair! The new Garnier® Whole Blends™ is a full range of naturally inspired hair care shampoo, conditioner, and treatments. You can find the right blend for your hair care or hair type! Let’s face it, we all have our good days and our bad days, but we try our best and that should be celebrated! So instead of thinking so literally when you think about creating that picture perfect Mother’s Day, think about truly celebrating all that is motherhood. The good and the bad. Because even the bad makes us grow. Creating the picture perfect Mother’s Day is up to you! Have a happy attitude, do something for yourself, and remember just how beautiful motherhood truly is. Now for a chance to win a $100 Visa gift card, tell me, how will you celebrate Mother’s Day this year?